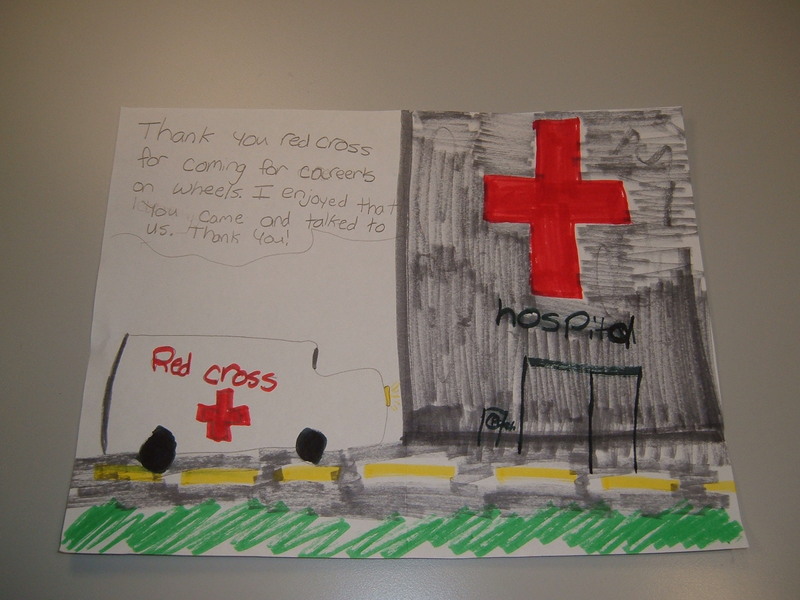 The American Red Cross took part in the annual Partners in Education Program of the Green Bay Chamber of Commerce Careers on Wheels Program. Volunteer driver, Bob DeGroot visited three elementary schools in the area and shared with the students his role as a volunteer driver, how the transportation program helps people in the community and students were allowed to go on the bus. Contact Brian Johnson, Partners in Education Career Education Program Manager, at 593-3408 or bjohnson@titletown.org to learn how your organization can participate in this program. To View Photo’s of the event go to click HERE! May 27, 2011 – Firefighters and American Red Cross volunteers came out in greater force this year as the fundraiser grew to 21 locations acrossNortheast Wisconsin. The need was also much greater this year as increased need for disaster response exhausted the disaster relief budget just 7 months into the fiscal year. The dedicated partners, that support their neighbors in times of disaster, partnered up again to ask their community to be Heroes during the Firefighters’ Bucket Brigade to benefit the American Red Cross and to help sustain disaster relief operations. The community answered by contributing an estimated $16,000 during the Fire Fighters’ Bucket Brigade. Trained Disaster Volunteers are ready to help at a moment’s notice. Red Cross disaster relief focuses on enabling individuals and families affected by disaster to independently resume their normal daily activities by meeting their emergency disaster-caused needs. When a disaster threatens or strikes, the Red Cross provides shelter, clothing, food, and health and mental health services to address basic human needs. The Red Cross also feeds emergency workers, handles inquiries from concerned family members outside the disaster area, provides blood and blood products to hospitals treating disaster victims, and helps those affected by disaster to access other available resources. Outagamie, Waushara, Waupaca, Winnebago, Sheboyganand Marinette counties had fire departments participating. Fire fighters from the many participating departments along with Red Cross volunteers were stationed locations acrossNortheast Wisconsinto collect donations and talk about their partnership. Our heroes were at locations across these counties making their support apparent and collecting donations in red buckets between 4 p.m. and 7 p.m. on Thursday night. All locations featured the life-saving equipment used by fire fighters and our heroes available once again in a time of need. Today at the Firefighters’ Bucket Brigade for the American Red Cross you will get to meet Northeast Wisconsin firefighters and American Red Cross disaster volunteers who will tell you about their partnership and the firefighters’ lifesaving equipment. We know that when thefire fighters leave a scene of a disaster their work isn’t done but even here at the American Red Cross we learned something new this year about the work our firefighter partners do. The Disaster Team is hard at work when they are not on the scene with many hours of training and preparation just like the hardworking firefighters but something we never had to think about is how to clean the fire hoses. Thanks to Lt. Nick Craig from the Green Bay Fire Department we learned a little bit more a firefighters’ work back at the station and he showed us how the fire hoses are cleaned. To find where to spot one of our heroes, at a Firefighter’s Bucket Brigade location, please visit www.newredcross.org. Firefighters throughout Northeast Wisconsin will be armed with red buckets to show their support for the Red Cross and collect much needed funds for Red Cross Disaster Relief. You can help support this effort by stopping by one of many convenient collection sites and donating your spare change or better yet, a check to help people down the street, across the country and around the globe affected by disaster. When local fire departments heard the American Red Cross needed help raising funds they stepped up to support the efforts again. This year increased need has exhausted the disaster response budget so their efforts are much needed. Local firefighters and American Red Cross volunteers have partnered together to ask the community to “invest in the positive” at the Firefighter’s Bucket Brigade for the American Red Cross – TODAY! Thursday, May 26, from 4 p.m. to 7 p.m. These dedicated partners, that support their neighbors in times of disaster, are partnering up to ask their community to be Heroes during this fundraiser. We always want to know more about our heroes and partners so this year we are spotlighting supporting firefighters and Red Cross Disaster volunteers. You might only see these partners together during a disaster response or during the Firefighters’ Bucket Brigade for the American Red Cross so we are happy they took the time to answer our questions. Brenton Ward is the Manager of Public Relations/Public Education with the Suamico Fire Department and was kind enough to answer our questions. When did you know you wanted to be a firefighter? Since I was a little kid. What do most people not know about your job? The amout of time, planning and coordination that goes into making PR/Pub Ed events a success. What are you most proud of? That is a hard question. I would have to say my girlfriend Kim and her Son, Trent. They put up a lot of time taken away by me doing this. Why are you volunteering to participate in the Firefighters’ Bucket Brigade? To give back to my community. What have you learned about the Red Cross by working with them? Nice people, easy to work with. They really do what ever they can to help people. Who’s your Hero? And why? My Hero….. Hmmmm….. That would have to be my Dad. He has always been there and formed me to be the being I am today. 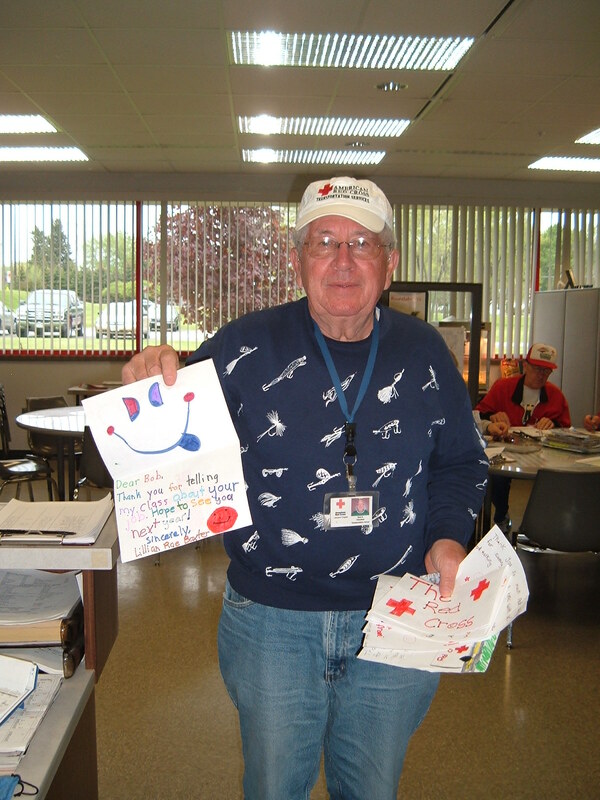 For more information and a list of Bucket Brigade locations across northeast Wisconsin, please visit http://www.newredcross.org. National CPR and AED Awareness Week is June 1-7 and spotlights how lives can be saved if more Americans know CPR and how to use an Automated External Defibrillator (AED). It is especially important to arm yourself and your employees with the ability to save lives by getting trained in CPR and the proper use of an Automated External Defibrillator (AED). Want to learn more? Attend one of our CPR and AED Awareness Week Seminars. Learn about how you can benefit from specialized training provided by the American Red Cross including First Aid, CPR, and Automated External Defibrillator training courses. Learn about the NEW “Citizen CPR” course, a 30-Minute skills training that teaches “hands-only” CPR. A representative from Cardiac Science will also be on hand to present valuable information about Automated External Defibrillators! Register to win a FREE AED courtesy of Cardiac Science. R.S.V.P. by 5/30/11 by calling 920-231-3590. Space is limited. R.S.V.P. by 5/30/11 by calling 920-227-4290. Space is limited. R.S.V.P. by 5/30/11 by calling 920-733-4481. Space is limited. The Heartbreak for Hope telethon kicked off at Noon and we are going strong into the 6:00pm hour. Thank you to everyone who has donated so far. We can’t begin to thank you enough! There is still time to make a financial contribution. Call 920-436-9027 (local) or 888-769-5511 to donate. Our volunteers are standing by waiting for your call! Thank you to the WBAY anchors and crew for your support in helping raise the needed dollars to provide support for people down the block and across the country who have been impacted for disasters.